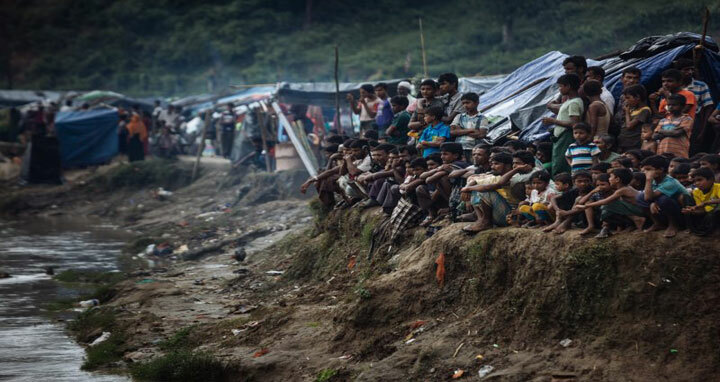 Dhaka, 24 Jan, Abnews: Myanmar blamed Bangladesh on Tuesday for delays to a huge repatriation programme for Rohingya refugees, as the deadline passed for starting the return of the Muslim minority to strife-torn Rakhine state. More than 680,000 Rohingya fled to Bangladesh after a brutal Myanmar army crackdown began last August, while a further 100,000 fled a previous bout of violence in October 2016. But a Bangladeshi official said on Monday the programme would not begin as planned. The complex process of registering huge numbers of the dispossessed has been further cast into doubt by the refugees, who are too afraid to return to the scene of what the UN has called “ethnic cleansing”. With hundreds of Rohingya villages torched and communal tensions still at boiling point in Rakhine, rights groups say Rohingya returnees will be at best corralled into long-term camps. In a sign of the tensions attached to the repatriation issue, a second Rohingya leader was killed in Bangladesh camps on Monday — allegedly after endorsing the returns programme.